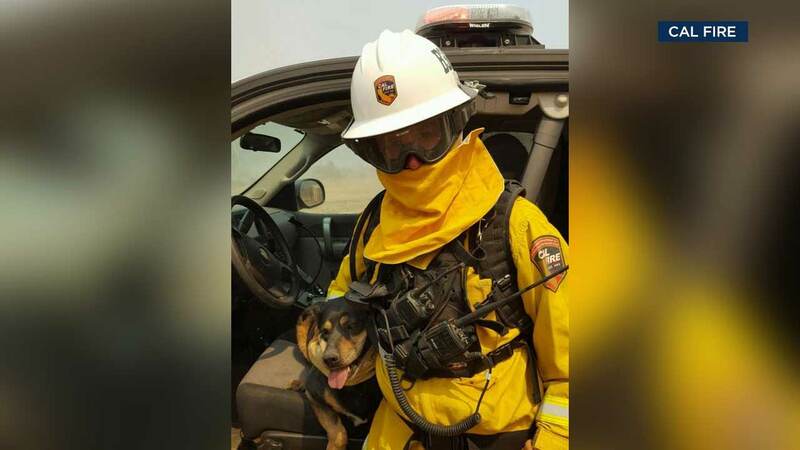 WEST CAJON VALLEY (KABC) -- A firefighter was able to rescue a dog from the Blue Cut Fire after the animal ran from a burning structure and leapt into his arms. Cal Fire posted a photo on Facebook of Battalion Chief Mike Mohler hugging the dog after the rescue. The dog is now in the care of animal control, the post stated. Keep up with the latest on the Blue Cut Fire with the ABC7 app. Click here to download.